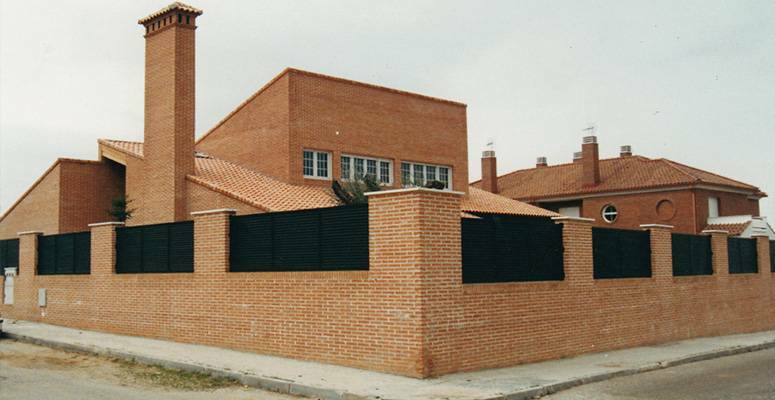 Design and construction of a single-family dwelling in Torres de la Alameda, in Madrid. We proposed to the client to use exposed brick as the building material to maintain aesthetics in tune with the surroundings. a.- Design and Project of the Dwelling. b- Management of the work permit and obtaining all the permits. c.- Execution of the works subject to a budget and deadline agreed in advance. d.- Periodic site visit with the owner. e.- Delivery of the works.